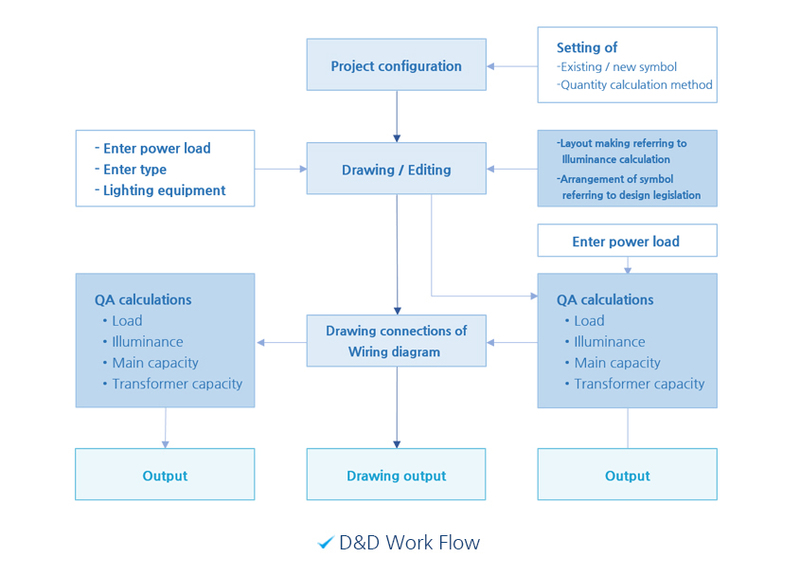 D&D is electrical equipment design support program, which providing extensive symbol data and functions about drawing, editing functions needed on the electrical installation design drawings. Simple icon-based way can minimize errors caused by repetitive task and working time also. Situational data stored in each symbol can make the design suitable for a wide range of equipment types. Data that is written and designed at the same time are out of simple construction, it is easy to calculate detailed data construction of the progression. Various type of symbol data is available. 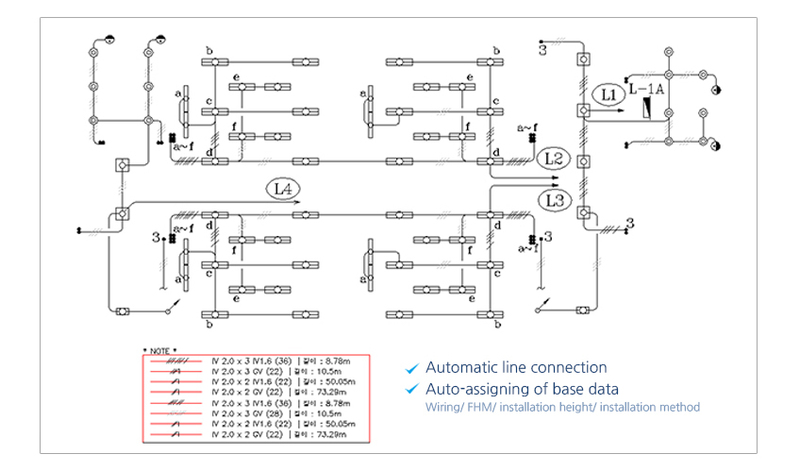 Line drawing function find a point of connection of each Equipment mechanism automatically. Provide drawing features such as Cable trays/ Ducts Lighting/ Booth duct/ Race way/ High-Tech. ① Illuminance calculations: Calculate the illuminance based on a wide variety of facilities and area information according to the type of room lighting. Luminaire output quantity is also available through the illumination design. 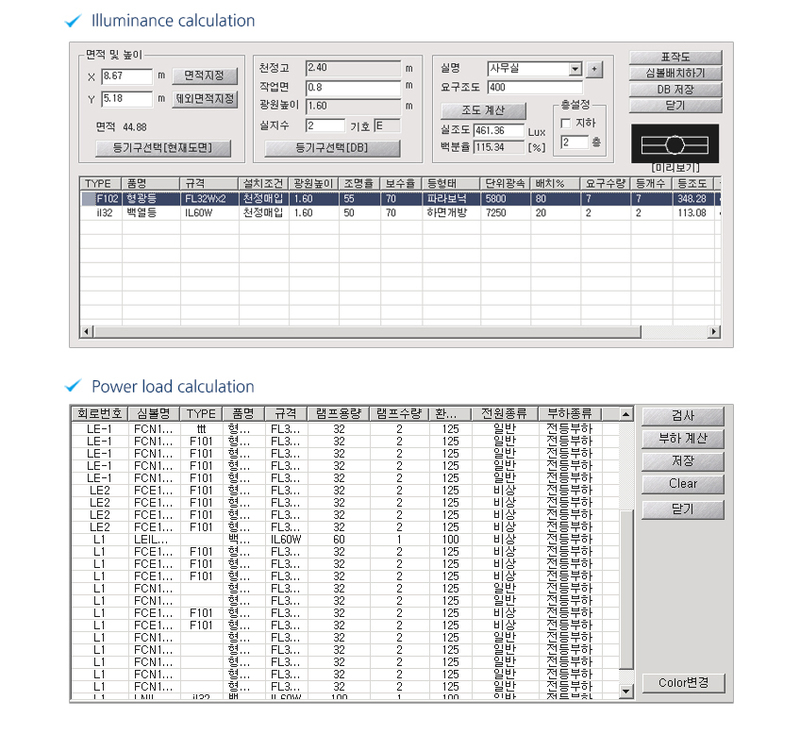 ② Load Calculation: The distributor track circuit connected to the load to be calculated automatically calculate the quantity of each load circuit and symbols. * Automatically calculate and enter the necessary data to the main trunk volume , based on the calculated loads. Easy drawing and editing with an intuitive user interface. 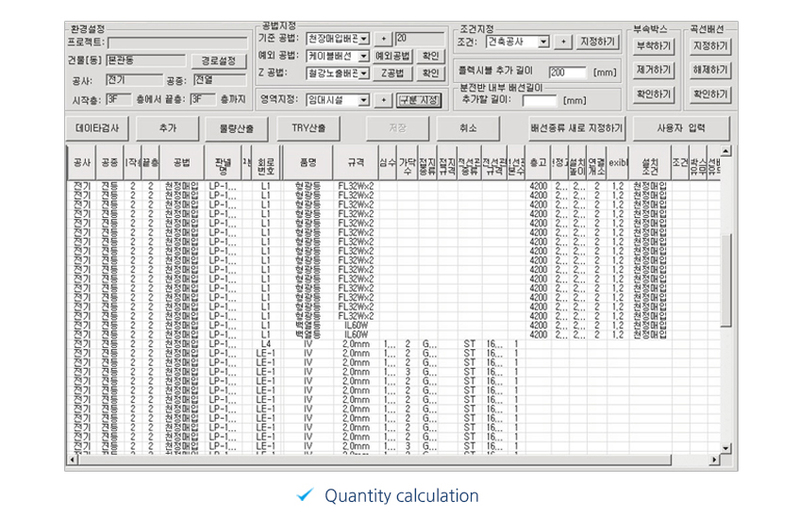 ② Exact quantity calculating function for easy invoice and / Quote seats filled. Making of easy drawing environment with provision of type of electrical equipment installation DB. 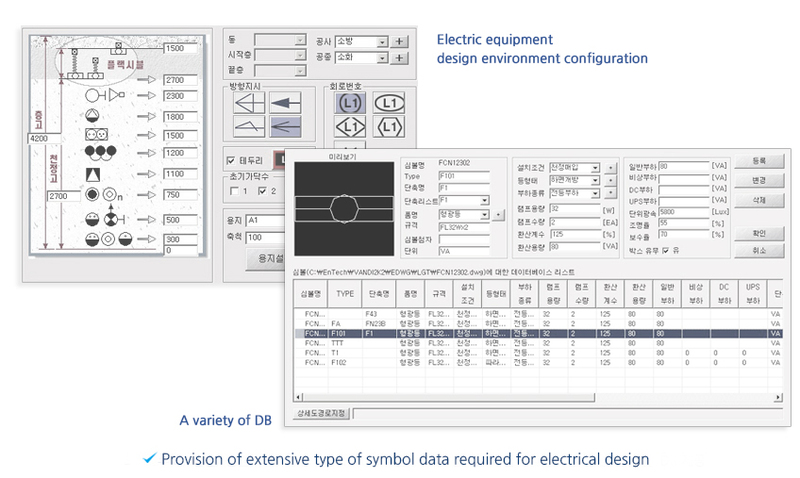 With automatic line connection function between the electrical equipment symbol data, previewed drawing, editing features can make easy design environment. Out of existing simple construction drawings, D&D provide a more accurate design environment through the simulation of Illuminance &load calculations with numeric calculation functionality of the site at the same time.